"Tongues firmly in cheeks" is a phrase that always makes me worried and, coupled with the jokey title, I wasn't expecting much from Messiah's Kiss. So, as usual, there's a lesson for me about judging an album by its cover and all that tosh, because 'Get Your Bulls Out' is actually pretty good. Hailing from Germany, America & England, the band also has every member throwing their hat into the writing pot and if you add to that a seven year hiatus (forced due to illness within the band) you get an album that several brains have been working on for some time. The overall style is Classic Metal straight from the 1980s, but with enough personality to avoid sounding too dated. 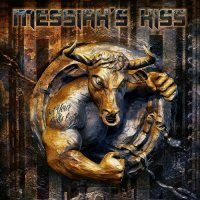 Several songs would have sounded good from Skid Row in their prime, with others having a more Iron Maiden-tinge, but all of them sound like Messiah's Kiss, which is exactly how it should be. 'Get Your Bulls Out' has plenty of power and passion and no little talent. There are no pretensions, just fourteen, full-on, melodic Heavy Rock tracks that never fail to entertain. They may not win awards but are rather good at what they do and what they do is Rock... check them out.